Phil Vickery will be heading to the city centre to host a number of demonstrations for the summer event. Coventry Business Improvement District (BID) has organised the 2018 festival, which is free for all and takes place on June 23 and 24, in conjunction with Footfall Events. The special guest will be passing on his cooking knowledge and handy hints during a series of tutorials that will run between 11am and 4pm on June 23 in Broadgate. 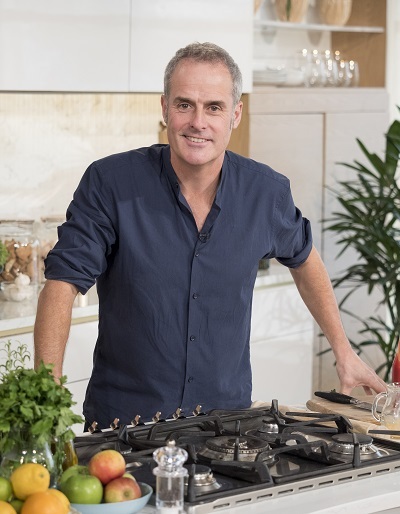 Phil has appeared in numerous shows including ‘Holiday Programme’, ‘Ready Steady Cook’, ‘Proof Of The Pudding’, his own series ‘Phil Vickery’s Pudding Club’ and has been the resident chef on ‘This Morning’ for the last 18 years. Over the years, AA Restaurant Guides have rated Phil, who has won a Michelin star, one of the top 20 chefs in Britain and during his time as head chef at The Castle Hotel in Taunton he also won 4 Rosettes in the AA guide, the Good Food Guide’s Restaurant of the Year, and The Times Restaurant of the Year, among many other awards. Phil said: “I am so pleased to be coming to Coventry and supporting this year’s Food and Drink Festival. “We are planning some very interesting demonstrations, when I will be providing everyone with tips which they can use in their own kitchen when preparing meals. Along with a visit from the celebrity chef, there will be an abundance of other activities and displays going ahead during the two days. Coventry BID director, Trish Willetts, said: “I am absolutely thrilled that I can announce we have Phil Vickery coming to Coventry for this year’s event. “It is going to be another packed weekend and we are very excited for everyone to come down and enjoy the whole event. “Phil will be hosting a series of live demonstrations and it is going to be fascinating to see what he cooks up in the kitchen for us - so let’s make sure we all give him a very warm welcome in June. “Once again, there will be an array of businesses and traders coming along and after the success of last year’s festival, we want to make sure that this year is bigger and better and we will have more details to reveal very soon.